Guess what. We're pregnant again. After contemplating for days whether I should spill the beans this early or not, I have a made concious decision to do so. Our immediate family and a couple of close friends are already in the loop about me being pregnant once more. As a Mom blogger, I think pregnancy is a big thing for me and it is only natural for me to jot down the pregnancy journey in my blog. I just can't keep mum about it as if this wasn't happening. 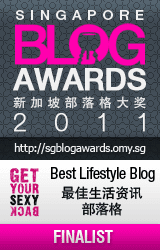 In addition, I don't like dealing with pregnancy related blog posts' backlog later on. It's just so much easier to document my pregnancy on time as my pregnancy progresses. Moreover, I did make online announcement in my blog pretty early when I just fell pregnant with Naomi few years back anyway. So yeah, I did not wait the typical 12 weeks before announcing my pregnancy to the whole planet and of course, my blog readers are among the first peeps who get to know this news. Based on my rough calculation, baby #2 will arrive sometime this October and we're obviously thrilled with this soon-to-be new addition in our little family. My little girl is going to be a proud big sister and instead of just taking care of one kid, I will have to raise two children towards the end of 2014. Sweat Sweet! This is another planned pregnancy because my husband and I felt that we are quite ready to expand our family of three this year. Further, Naomi is big enough to be a big sister and we don't want our first and second children have a huge age gap. This way, we hope Naomi and her sibling can get along well, enjoy each other's companion and become compatible playmates. Just after a month of trying to conceive our second baby, we were blessed with the positive pregnancy test result (yay!). For this, we're really grateful. When I first administered the home pregnancy test on one early morning last weekend (the sky was still dark and the sun had not even risen yet), I got a very faint second line. Seeing that, my husband insisted that I was not pregnant and pat me on on the shoulder. His sleepy statement indeed shattered my hope and all, but my guts told me I was pregnant again. Why? Because if I was not pregnant, I would not produce the hCG hormone. And without the presence of this hormone, there's no way the second line in the test kit, even the very faint one, would appear, right? Well, unless the home pregnancy kit was faulty but in my case, I believe it was not. It's just because I took the test too early I got the very faint second line on the home pregnancy test. Been there, done that. So after missing Aunt Flo for days plus positive results on 4 home pregnancy tests later (reading the result of home pregnancy test is always suspenseful by the way), we went to the hospital in town to confirm this pregnancy so if I were really pregnant I could get my prenatal care as soon as possible. Based on the urinal pregnancy test at the hospital, my gynae confirmed that I am pregnant again and scheduled me to see him again a week later to do my first ultrasound scan. Thus far, I only feel incredibly lethargic and get tired really fast. I just want to sleep all day long. I have never been so madly in love with my bed like this before. Or maybe I did when I was preggers with Naomi. On some days, lifting a finger or opening my eyes is such Herculean task for me to do. When this happens, I mumble to Naomi "Give Mommy another 5 minutes, okay? I will prepare your warm meal after I lie down for another 5 minutes. Just 5 more minutes... Now, behave please..." ...Zzzz... I also experience mood swings and very intense irritability. I am just very emotional these days but have yet to reach the phase where I cry a lot due to random anger. On some days, I feel perfectly normal. On some days, I feel so sh*tty, grumpy and wrathful (mostly to my husband) because of unworthy matters or no reason at all. Strange? No, no. Sometimes pregnant women do this to their husbands. Also, I had been having dry and itchy skin on my chin since the past week. *scratch, scratch* On top of these, dizzy spells and light-headedness for about a week or two now but to date, they are still manageable. Yesterday morning, I went to see my gynae again for our first peek ultrasound on my second bundle of joy. At first, my gynae could not see anything when he did the scan and said he may need to do the vaginal scan on me. I was horrified and didn't feel comfortable with his suggestion (I mean I always hate doctor checks that involve my lady bits). Then, he asked me to drink a lot of water first before doing the scan again. Shortly later, I went out of his room, dashed to the hospital's canteen and bought mineral water. After gulping almost a bottle of mineral water, I came to see the gynae again with very full bladder and strong urge to urinate. And there you go; we finally saw something in my womb - the amnion sac. At about 5-6 weeks gestation age, baby #2 is now still too tiny to be seen via ultrasound scan and we will check the baby again in another two weeks' time. Before I forget, I have created another pregnancy journal for my second pregnancy and you can follow it here. 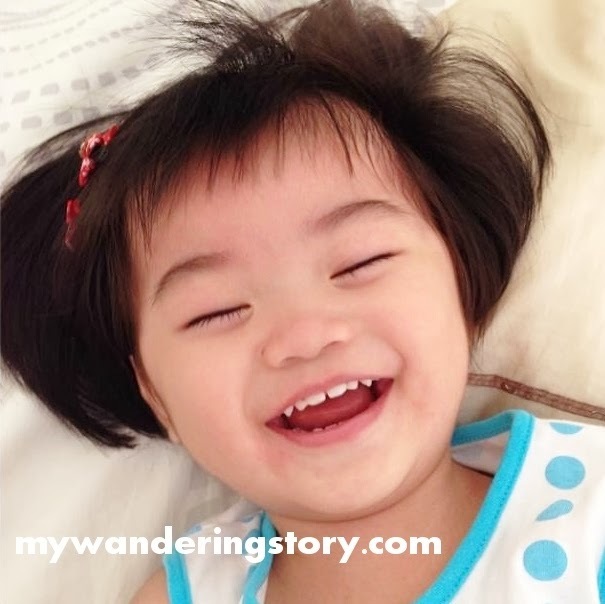 Since I went back to the WAHM mode, my husband and I agreed that it's time for us to have someone who could help me baby-sit Naomi and do minor house-chores on weekdays. This way, I could have more time alone to do my work and we don't have to trouble MIL so often. As we both ruled out the idea of putting Naomi at someone else's house or day care during the day, we could only consider having a nanny who is willing to come to our house to do the job. Finding a nanny who is willing to come to our house is not an easy feat. Most nannies in Malaysia would prefer the babies or kids to be sent to their house everyday because they are generally housewives and still need to take care of their household during the day. After few calls and references here and there, finally two candidates contacted us. One was an aunty who could take care of Naomi the whole day but lived not so near our house and could only come to our house if her daughter drives her or if we pick-up/fetch her everyday. The second candidate was an aunty who lives nearby and has her own transport to get to work but she could only work in the morning as she needs to take care her own grandchild after school in the afternoon and start this job after CNY. After some consideration, my husband chose the latter one. I personally would prefer to have a nanny who can take care of Naomi in the afternoon but eventually didn't mind to have one for the morning because I thought a help in the morning is essentially better than no help at all. Long story short, CNY passed by. Yet, the nanny still could not start babysitting Naomi because her grandson got chicken pox. When I heard 'chicken pox' I became frantic and told this nanny to come to work when her grandson was completely recovered. On one evening last week, the nanny visited our house to have a quick look of Naomi, ourselves and our house in person. We had pretty good first impression of her (I mean she's not the sort of a very 'loud' middle-aged woman) and yesterday was her first day working in our house. The plan is to have her work at 8.30am to 12.30pm on Monday to Friday. 17 months later, here comes the nanny. As expected, my toddler didn't welcome her new nanny because this nanny is practically a total stranger to her. Further, at her age, Naomi can already recognize people very well. Every time this nanny came near her, Naomi screamed and held me tighter. Whenever her nanny talked to her, Naomi became so stoned and super clingy on me. Even the sight of this nanny gave her creeps and annoyed Naomi so much that Naomi was like my Siamese twin yesterday morning. As Naomi didn't want this nanny just yet, while the nanny observed how I normally take care of my girl; yesterday I still bathed Naomi myself in the morning and accompanied her downstairs almost the whole time because Naomi totally refused the presence of her new nanny. Also, I cooked Naomi's food yesterday because this nanny wanted to know what kind of food I usually feed Naomi with so she can do pretty much the same in the coming days. I think after about 1 hour of this nanny's arrival, I almost told her to go home and come back again tomorrow. But I did not do that. I convinced myself that this process really takes time as I actually included a stranger in Naomi's life now and Naomi needs her own sweet time to adjust. I must give Naomi, the nanny and myself a chance. Once Naomi fell asleep in the sofa because she woke up way too early yesterday, her nanny helped me with some house cleaning work, which was good. I let her to go home at 12.15pm because Naomi was napping already. Today marks the second day for Naomi to meet and be with her nanny again. When she woke up this morning, she was still not friendly to her nanny and wanted me to carry her. Her attitude towards her nanny was still cold. After I bathed Naomi, I played some cartoon DVDs for Naomi in the living room and quietly left her alone with her nanny downstairs. Looks like today is way better than yesterday because Naomi miraculously could stay alone with her nanny downstairs for almost 20-30 minutes before she wanted to go upstairs and find me again. Today, I also asked the nanny to start cooking our simple lunch because my husband is out-stationed and I would like to taste her cooking too. Let's see how this nanny thing work out this week but I have a feeling this thing may turn out just fine. We'll see. Two of my projects were pretty much finalized just in the nick of time before some printing deadlines were due by COB today. Thus, I rewarded myself with a two-hours break this late afternoon. When I was in the middle of hanging my laundry to dry after my work was done, I casually asked my husband what cake he wanted to eat. He said "Up to you. Enough disappointment already." I admit there were many times when I told my husband that I planned to bake something but did't realize these plans due to various reasons; so after reading his comment, I was like "Whatever". Seconds later, he texted me. (1) Chiffon Cake (2) Carrot Cake (3) Cheese Cake (4) Muffins. Based on his preferences, my head started thinking. Chiffon cake is a little bit tedious to make because I'd have to beat the eggs twice separately plus the ingredients are many. I have carrots in my fridge but don't have nuts and cheese cream at the moment. After I finished hanging my laundry, I went upstairs and browsed some random cake recipes. Minutes later, I made up my mind and decided to make some apple muffins because I realized I have 4 apples in my fridge and we are just very slow in finishing the apples we bought last week. Despite the water issue that I encountered this morning, I went ahead with making some muffins. The recipe of the Apple Cinnamon Muffins that I picked today is certainly a winning recipe. It's so easy and quick to make plus doesn't involved too many ingredients. The whole preparation time took me about 15-20 minutes, including peeling and chopping the apples to dices and there was not much mess I created in my kitchen after baking them. Sift together flour, milk powder, baking soda and cinnamon powder. Set aside. Beat together sugar, egg, vegetable oil and vanilla extract by using electric mixer. Coat the apples with some of the flour mixture. Add the dry ingredients onto the wet mixture by using a spatula. Add the diced apples onto the batter. Fold them until well combined. The batter will be very thick. Pour the muffin batter onto muffins pans which are already lined with muffin papers until 3/4 full. Sprinkle the muffin tops with some brown sugar. Bake the muffins for 20-25 minutes until golden brown. Best served warm. ** This recipe makes about 9 medium-sized muffins. These muffins were so delicious. The brown sugar tops were slightly crunchy and the inside of the muffins was so moist. Not to mention that they were so fragrant too. My house was literally blanketed with cinnamon aroma as the muffins baked into perfection inside the piping hot oven. These muffins didn't have that nice round dome shape on the top because of the apples chunks and I think I went too overboard with the amount of apples I used today. I chopped 2 Fuji Apples and pour everything into the muffin batter. Nevertheless, they still tasted very good! It has not rained in the past two months or so. The weather was and is so hot these days. The heat is so unbearable and can really make one woozy and all. As drought bites Malaysia, my plants are definitely suffering too in the past couple of months because they have to endure such hot weather the entire day. Me watering them twice a day or so in the morning and evening is proven not sufficient. Just bought them like two months ago! When I saw someone posted a status on Seremban Facebook group last week - saying that her household had no water for days, I really could feel her frustration and felt sorry for her. Deep inside, back then I felt fortunate as we had no problem at all with the water supply in our house and our area is far from the neighbourhood which was affected with the water supply issue. Last night, the 8pm news on TV reported that my district is on the verge of water crisis. Should the current dry spell persist, the water supply in the area can only last for 41 days. I was like "Holy Cow!" "Why the officials haven't made any artificial rain yet? ", I screamed. Nevertheless, I am pretty sure that these folks must have had considered making artificial rain and true enough, another report on TV said that the current weather conditions, as in the cloud and wind, were not favourable for cloud seeding; hence no artificial rain yet. Oh crap! When I watched the news, for a moment I was really worried about having no running water in my house and imagined the problems I would encounter if the taps at home had run dry. However, I didn't think about it that much since I thought we don't have that problem yet and for I believe that each day has enough problem of its own and for tomorrow will worry about itself. But then again, worrying is one thing and when the thing we worry turns into reality, that is certainly another thing. Who knew that today is indeed that dreadful day when there is finally no water in my house? To my horror, there was very little water running from the taps in my kitchen this morning. When I learned this, I hastily filled out some bottles with whatever water I could get from the kitchen taps as our drinking water supply. I managed to get about 5 litres of drinking water before the taps stopped running water at all. There's not even a drop of water from my kitchen taps now. By the way, this was not my first time experiencing no running water in Malaysia or Indonesia but this time around, I got a little panicky because this issue was not caused by temporary pipe maintenance or something like that, but more because of the dwindling reservoirs. Auntie in action: Collecting water like mad. Okay .... So no more cooking as cooking and cleaning dishes today as they would require lots water and clearly we don't have any. No more washing clothes today (*Sobs* I should have done my laundry last night if I knew I had this problem today!). No more twice-a-day showers as we need to be wise in using our water supply in the tank (at least for this morning and let's see how things goes later today and tomorrow). No more watering plants for sure (desperately need the water for shower and flushing toilets now!). What if this problem continues? I will run away to Indonesia and bring my Naomi with me. LOL. Updates: It looks like by noon there is water in my kitchen already (yehey!). Maybe I was overreacting (a.k.a kan cheong) when the water stopped running this morning and prepared for the worst. Anyhow, given the current weather situation, I guess we still cannot underestimate the water woes in Malaysia and need to be wiser in using it. Rain, this is an order. Please come back here! We just came back from a 4D3N family trip to Langkawi the Jewel of Kedah last night. I went to Langkawi for the first time with my husband's core family members last Tuesday as part of my husband's annual family trip. It was also the kids' virgin trip to Langkawi but I am quite sure all my in-laws had gone there at least once before. This Langkawi holiday involved 9 adults, 4 kids and 3 toddlers so we went to Langkawi as a pretty big group. As the flying time from KL to Langkawi took only about 45 mins, we had almost stress-free flying experience this time around. Once landed, Brother-in-Law had to rent 2 MPVs for us during the whole trip in Langkawi as 1 MPV was just not enough to contain all of us touring the island. Overall, it was happening trip - fun sightseeing experience, crazy ultra-cheap duty-free shopping spree (cheers to bags and bags of cheap Bounty bars) which put both your greed and wallet to the test as well as full-time demanding kids management on the move, especially the toddlers. The girl toddlers, Naomi included, were probably the most challenging and active young kids we had to handle during the entire trip. Naomi had runny nose on the first day of our trip and the next day, her cousin had terrible flu and she was incredibly fussy during the trip. Endless unnecessary screams, river of mucus, cries, loud gibberish yells plus toddlers' tantrums coloured our Langkawi trip this year. Since day 1, I strongly demanded my husband to turn off the music or radio in the car he drove during this trip because my head could only handle that much noises coming out from the two kids and two toddlers in our car. More noises than those, I was positive that my head and Sister-in-Law's head were ready to explode. Seriously, there were many moments when I almost turned my head to the noise-maker suspects who screeched a storm, gave them a knife-sharp stare and roared "Can you shut the hell up for just 5 bloody minutes?" *...pause for effect...* Luckily, this sinister plot never turned into reality. Food wise, I must say that Langkawi doesn't really have local food that I can specifically brag here. Their seafood is probably famous but they are so expensive. We ate normal Chinese food from hawker centres and restaurants and the food we had were similar to those sold in other places in Malaysia. In addition, most places in Langkawi would ask you to pay for using their public toilets. The most expensive entrance fee for toilet I encountered thus far was RM 1 for one time toilet use in Chenang Mall. Anyway, here are some places and activities that we checked out in Langkawi this week. Langkawi Cable Car or Sky Cab is apparently one of the major attractions for tourists in Langkawi. I have ridden cable cars in Switzerland, China and Singapore before and for RM 15 per pax, the one from Langkawi is definitely not bad and long. The whole journey covers a total distance of 2.2km from the Base Station to the Top Station at the Machinchang Mountain Summit. Naomi's first ride on cable car. Once we reached the top station, visitors can witness the magnificent views of Langkawi Island, Southern Part of Thailand and the Andaman Sea. Did my little munchkin fear of riding the cable car? No, not at all. I guess she was just too young to realize any height phobia. She acted jolly and remained pretty active inside the moving cable car to the point that I had to force her to sit quietly so I could hold her tight. Big hello from the Summit! By the way, I really wanted to buy the souvenir photo when we rode the cable car but my husband told me not to because the RM 25 price tag was just too ridiculous for one photo print. Somehow, I still regret not buying it anyway. Dang. Ending the trip at Panorama Langkawi with some souvenir shopping and ice cream. I love the ambience inside Panorama Langkawi. There's also this big pond with lots of fishes where you can buy the fish feed and feed them. Why every time Naomi sees water she wants to jump into it and swim? She literally wanted to jump into the fish pond at Panorama Langkawi and made a scene when we took her away from the pond. Side effect of swimming for the first time last month? Underwater World Langkawi is one of the largest marine and fresh water aquaria in SEA. This place is well maintained, clean and not too crowded. When I first brought Naomi to see fish and other aquatic animals at KLCC Aquaria, she was too young to understand what's going on around her. Now that Naomi has gotten bigger and can understand more stuff, she gets really excited when we bring her to zoos to see animals. Mesmerised by the ocean fishes. At UWL, Naomi loved watching the various fish gracefully dancing inside their large tanks. She jumped and screamed with excitement in her baby stroller when she sees the fish. For few seconds, my husband was worried that her baby stroller would not be able to handle the pressure Naomi was giving it if she kept on jumping like that every time she saw fish. One favourite photo spot at UWL. On another note, I guess the penguins and seals attracted me the most during my visit to this place. Not to say that I don't like the other aquatic life forms collection at UWL but I seldom see penguins and seals in many zoos I have visited in the recent years. To conclude the fun on our first full day in Langkawi, we visited the Tanjung Rhu Beach so the kids can enjoy the water, sand and sun-kissed sky. One of her happiest moments. The waves at the time we checked out Tanjung Rhu Beach were too big and dangerous for small kids so we encouraged them to play with the beach sand instead. Trust me, make sand toys in your must-bring items list when you are travelling to a beach with your tots. These toys are so fun for the kids and you too will have fun watching them having so much fun dumping, scooping, building sand castles and pouring beach sand to their hearts' content. Gotta love the beach sand! Tanjung Rhu Beach was potentially Naomi's first beach visit. She got to feel the ocean waves and beach sand for the very first time. She was an absolute happy little girl when she was playing at the beach. I guess she just loves playing water so much. As for playing with beach sand, Naomi was mostly interested in destroying the sand castles that her cousins built and transporting some beach sands with her hands instead of her plastic scoop. A summary of our evening at Tanjung Rhu. I just love all the pictures of Naomi that we took at Tanjung Rhu Beach that day. She just looked so happy. In my whole life, I never thought of visiting crocodile farms before. I find that crocodiles are just creepy reptiles and I don't really like to have direct interaction or even see any reptiles hanging out around me for a long time. Watching their actions on TV is more than good enough for me. However, my nephew wanted to visit this place so bad and Bro-in-Law thought that we might as well include this place in our itinerary in Langkawi. Needless to say, on our third day in Langkawi, off we went to visit the crocodile farm in Langkawi which hosts thousands of these giant reptiles. Looking touristy for the crocs. Not long after entering the compound, we saw the crocodile show which featured the oldest croc in the farm named Bujang Kawi. OMG, this old chap is seriously so big. He weighs 1 ton for Christ's sake! During this show, one of the farm's staff pet Bujang Kawi, sat on his back and put his hand onto this croc's wide-opened mouth. After watching this show, as we waited the crocodiles' feeding show to start, we checked out some of the giant greyish crocs silently gliding beneath us. The feeding session commenced when the staff came out and whistled from a metal door behind the pond and slowly threw many dead chicken to the giant beasts in the large pond. I kid you not, these crocs swallowed the whole chicken like they are swallowing mini gummy bears. I think in one gulp, the whole chicken went straight into their gigantic stomachs. On top of the crocodile ponds. Moving on, the kids also got the chance to feed baby crocodiles and they were not afraid of them at all. We then toured the whole farm which had many different caged ponds with many crocodiles categorized by their age. At this point, I already lost my interest with all these crocs because I almost melted under the scorching sun. Glad I slathered my sunscreen lotion and put on my hat and oversized sunglasses during this visit. Anyway, this trip ended with a presentation from a staff in the farm where he explained lots of facts and revealed trivia about crocodiles in the farm. Surprisingly, while I thought this farm was built to protect crocodiles, it also 'professionally' slaughters crocodiles for their skin and meat. Seemingly crocodile meat is medicinal and its skin can be transformed into some RM 20k bags and RM 150 key chains to name a few. Island Hopping in Langkawi was kind of an impromptu agenda in our itinerary. My Brother-in-Law initially wanted to visit Pulau Payar but the tour on Pulau Payar would take at least 7 hours and it was fully booked until next week. In the end, after a quick check by phone with the travel agent on other island tour that we could have on last minute booking, island hopping by fast boat was an option and it's available for us in the next hour or so. So, done deal. After a quick lunch at KFC, the travel agent picked us up at Chenang Mall and not long, we're already on our life jackets and hopped onto a boat. Island hopping by fast boat in Langkawi took about 4 hours in total and it covers 3 lush green islands. Before I tell more story about each island that we visited, let me tell you more about my experience in riding speed boat. I had before ridden speed boats in a small lake in Indonesia but while I thought that was really fast; the speed boat in Langkawi was just super duper fast for my liking. I was shocked and in the beginning this fast boat did scared the sh*t out of me. Nevertheless, I tried my best not to lose my cool during this ride because all the kids, including Naomi, looked so excited and none of them looked panicky with the speed nor strong wind that blew our faces and hair until our hair looked like Fido Dido's. Later on, we were given 1 hour to explore each island during island hopping. I think after the first stop, I got used to the speed boat and could handle my fear with the speed boat better. Now you believe me that all kids were so happy riding a fast boat? The first island that we stopped over was Pulau Dayang Bunting (Island of the Pregnant Maiden). This island is home to only God knows how many hungry and aggressive monkeys. Therefore, visitors were advised not to get too close with or feed the monkeys. We're also told not to bring food or anything that looked like food as the monkeys would be attracted to the stuff we carry and attack us. This was true - some wild monkeys tried to attack my Sister-in-Law twice as we tried to reach the Pregnant Maiden Lake inside the island because my Sister-in-Law carried a backpack. We had to walk up and down stairs that seemed to be never ending to get to the Lake inside this island. Naomi refused to be carried and with her baby steps speed, it took me a looong time to finally reach the Lake where everybody already gathered. Once we reached the Lake, Naomi insisted to jump into the lake water because she thinks every still waters are kids' swimming pools. My husband, father-in-law and I tried hard to guard Naomi so she would't throw herself into the green water. My husband passed me all his precious belongings in his pockets in case he needed to jump into the water should our persistent Naomi attempt to go into the lake. Thank God, this worst case scenario did not happen but we did face some dramas when Naomi vigorously wanted to jump into the lake for fun again and again. Post the family drama at Dayang Bunting Lake. Done with the lake, I huffed and puffed climbing the stairs to get back to the jetty where our boat waited. This was not an easy feat because I had to carry Naomi too as I struggled with the stairs. Next, we were brought to Pulau Singa Besar where we witnessed flying eagles in the sky from our boat. Langkawi does have lots of eagles. When I saw eagles flying in the sky, I thought they are not that big. However, when I finally see one of them in a cage in the Wildlife Park, I was quite surprised to see that this eagle is really a huge bird of a kind. Our final stop over was Pulau Beras Basah. Passengers were given a chance to swim and sunbathe in this island. All of us didn't plan for any beach activities that day because half of the kids fell sick; hence no towel, extra clothes or sand toys prepared in our bags. Who knew that this island hopping offered the kids another crazy time to get wet in the beach which they could not and would not to resist? In less than 10 minutes, all of the kids got all wet and beach sands were all over their bodies when we headed back to the boat. Anyway, it was a really beautiful island. Its beach, studded with white sand and clear water, indeed stole my heart. As expected, cheerful Naomi didn't want to get back to dry land so imagine again how we dragged her out of the beach to get back to the boat. Unfortunately, my husband and I lost our hats on our way back to the main island as I forgot to zip our bag. On our last day in Langkawi, my Brother-in-Law arranged us to have a quick look at Dataran Lang or Langkawi Eagle Square which hosts a large eagle sculpture. There's nothing much we could do at this place other than taking some group pictures at this place with the eagle statue and let the kids run around in the square. Finally there's one interesting Dataran in Malaysia for tourists. After snapping some pics with the eagle statue, I browsed the souvenir shops around the area and came home with some 3 for RM 10 magnets for my sister and Mom. Right before we ended our trip in Langkawi, another tourist attraction that we checked out was Langkawi Wildlife Park. Personally, another trip to a zoo or its sort didn't really interest me because over the past few years I have gone to see animals in zoos or birds/aquatic parks more than I ever did during my entire childhood. Posing in front of the waterfall. Nevertheless, I guess a trip to a zoo always means something to children - it's amusing and at the same time educational for them. Thus, yesterday I didn't mind another zoo visit and just happily tagged along so Naomi could experience something new too. Mesmerised by the long-legged birds. Langkawi Wildlife Park is considered quite clean and it offers animal feeding activities for visitors, which is great. Everybody loves feeding animals from close distance in general and kids got to learn about animals's diet to. My nephews and nieces had a great time when feeding the animals but they also fought with each other for the animals' feed because we only bought two costly bags of animals feed for all of them to share. Since Naomi is obviously too young for feeding animals, she just saw different animals from her stroller. She had a joy being so close with the flamingos and watching some other big birds in their cages. Feeding the large flightless bird, Ostrich. That's all for our Langkawi trip this time around. Langkawi's beaches are certainty must-visit and its duty-free shopping experience heaven is not to be missed. Just don't forget to pack your hat, sunglasses and sunscreen when you go to Langkawi. Well, extra cash too! You'll need them. Last but not least, travelling with kids definitely adds flavour to our trips. While it's not easy to take care of them during the trip, especially when they fall sick, seeing their happy and contented faces is truly worth all the troubles. Not to mention, that the kids enjoyed special bonding moments with each other during the trip. Naomi is now so attached to her elder cousins, especially the girls, and she always wants to be around them. Every time my husband and I brought Naomi back to our hotel room, Naomi immediately sensed loneliness, screamed and cried. She just wanted to be around with the other kids. P/S: The aftermaths of this trip are my husband's sore throat, mild muscle pains for me and Naomi's runny nose (again). But.. We now have pretty good stock of real nice chocolates for the coming months at home.